The FMS 650 is a state-of-the-art connected cockpit system. The unit is installed in your panel and communicates via the RS232 databus. Bluetooth technology provides multiple data feeds from the FMS 650 to as many as six iPads or iPhones. Pilot(s) and passenger(s) can view real time GPS, Engine, and Instrument data on their handheld device(s). Additionally, the FMS 650 is engineered with two Smart USB chargers which provide fast and efficient charging to all your portable electronics. These features are in addition to our standard CO Detector safety features. 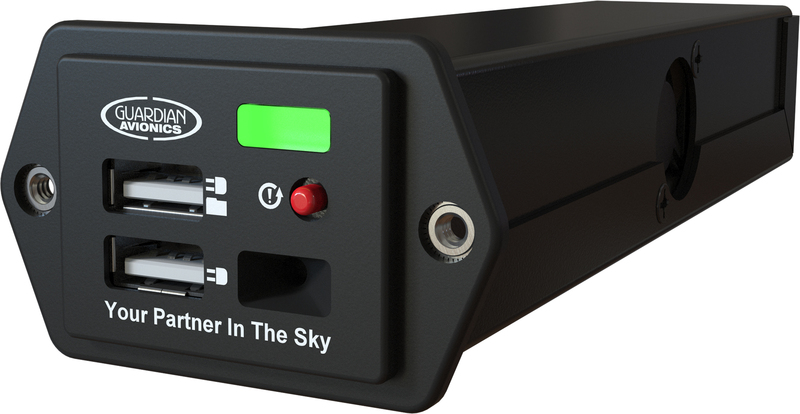 The FMS 650 combined with our Pilot FMS App will automatically record engine and flight data onto your iPad or iPhone. 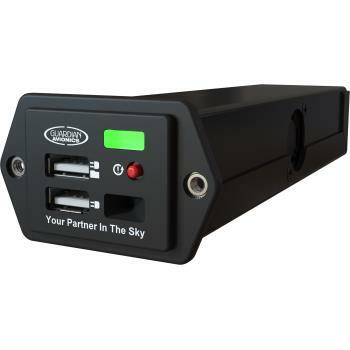 After your flight, the flight data can be automatically uploaded to a secure cloud through a Wi-Fi connection. The secure cloud stores all your engine data, take-off(s), landing(s), and flight time*. The data can be viewed and analyzed later on an iPad or computer in the comfort of your home or shared with your aviation technician. The FMS 650 is an affordable upgrade and a great addition to your cockpit environment.